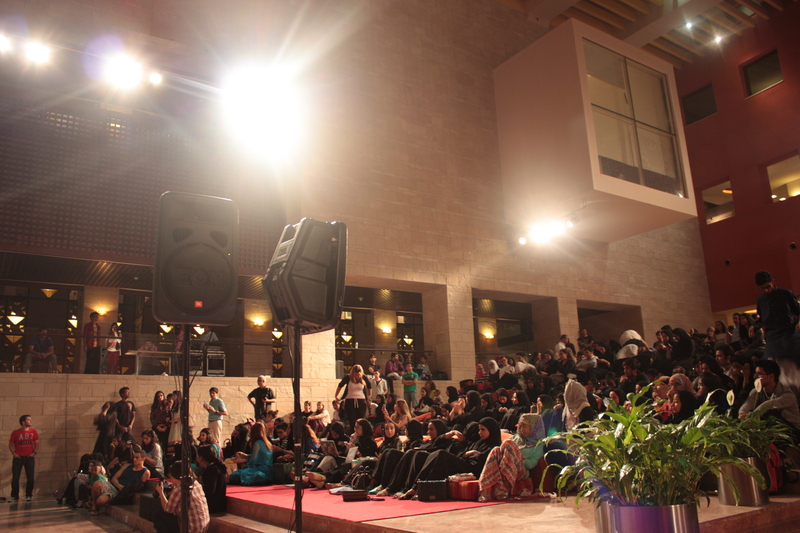 As 2014 marks its fifth year anniversary, the annual Tartan’s Got Talent show never fails to entertain and surprise the CMUQ community with the hidden amount of talents. Singing big hit songs, dancing to great Desi music, and playing nice melodies on instruments were all showcased last week on Thursday by some of our community members. As the performers ranged from faculty and staff to students, the acts had a lot to say about the creativity our campus embraces. ‘Can’t Hold Us’: Faculty, staff, and alumni dance by Kevin D’Arco, Melissa Deschamps, Amy Walker, Jennifer Gray, Rafay Manzoor, Fatima Mujahid, and Maria Khan. 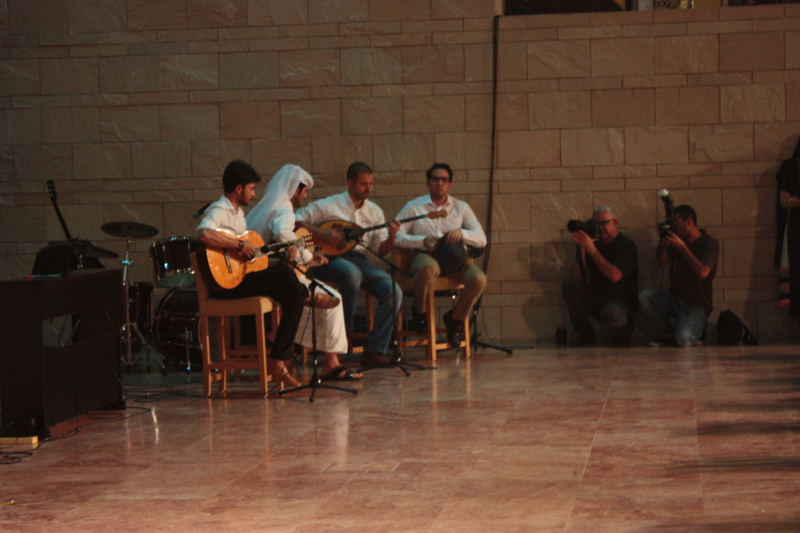 ‘Nassam Alaina El-Hawa’: Strings by Abdullah Al-Khenji and Sakib Mahmoud. Beat boxing by Zehni Khairullah. ‘November Rain’, originally by Guns N’ Roses: Band performance by Sakib Mahmoud, Vanessa Fernandes, Bilal Sheikh, and Prince George Abraham. 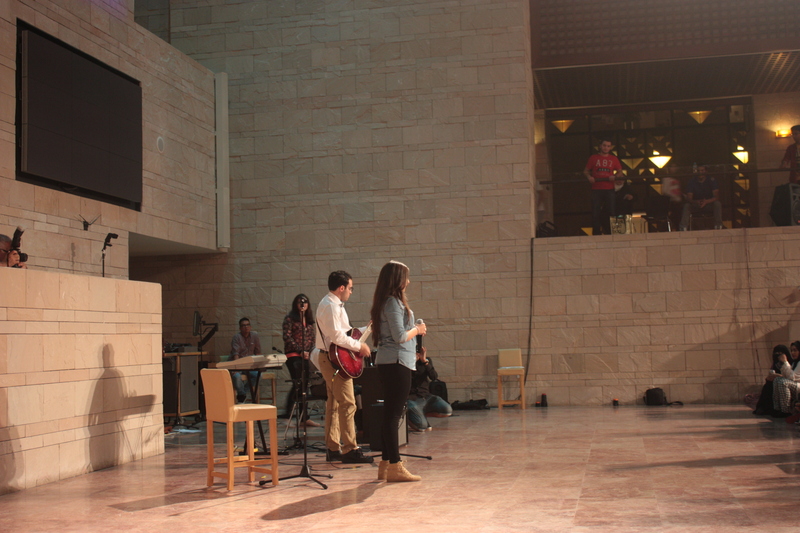 ‘All of Me’, originally by John Legend: Band performance by Parmiss Goudarzi. Piano performance by Fatma Abdulla Al-Emadi. Desi dance by Sanjeet Sahni, Vanessa Fernandes, Shahan Ali Memon, Andreea Nan, Sharmin Islam Ahona, Mehak Manwani, Sampriti Jain, Dana Samhadaneh, Sulaiman Mahmood, Shashank Shetty, Talha Anis, and Zain Najam Minhas. 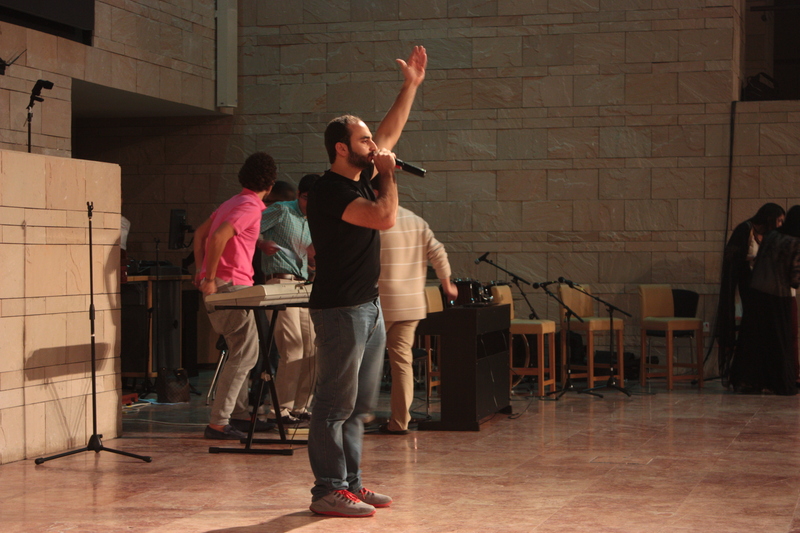 ‘Ya Mal El-Sham’, originally by Sabah Fakhri: Band performance by Mohammed Zehni. ‘Little Talks’, originally by Of Monsters and Men: Band performance. ‘We Are Tartans, We Are Stars’: A poem. “This House Believes That Reality Television Does More Harm Than Good”, CMUQ’s Debating Society debated yesterday. As an activity of promoting the organization to the audience of CMUQ, the Debating Society hosted its first public event of the year, which took place in lecture hall 1062 during lunchtime. The event witnessed a good turnout of students and a faculty member from the Student Affairs, with most students from the Class of 2018. The debate was chaired by Bashayer Al-Saadi. Due to demonstration purposes, no winning team was announced after the debate was over. One of CMU’s biggest event this semester, the Global Bash organized by CEC (Cultural Exchange Club) , aimed at giving the Education City a holistic experience of different cultures from around the world. The Global bash gave the students a ride from Africa’s Saharan traditions and East asia’s sword fighting , to North America’s football game , Eastern Europe’s and Hispanic world’s , all brought together on the Green Spine. The enthusiastic CEC volunteers who represented different regions came dressed up in their specific traditional dresses and arranged activities that helped the visitors to learn more about these cultures. Not to forget, the traditional dishes like sushi from the Eastern Asia, pancakes from the Arctic and Biryani from South Asia all added up to the multicultural diversity CEC aimed to create. Which traditional activity/ food/clothes did you like the most? Comment below and let it go All Around! Brazilya: Carnegie Mellon Finance Association kick off event! 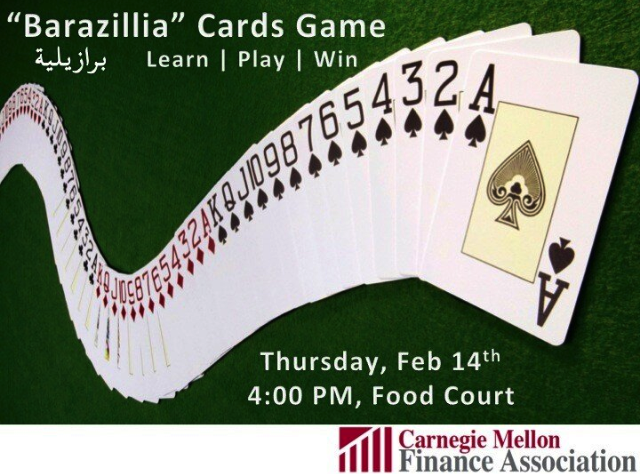 On February the 14th, Carnegie Mellon Finance Association brought the broadly known card game amongst Qatari’s to CMUQ’s own food court, BRAZILYA! Carnegie Mellon Finance Association was an idea brought up by the students, in order to serve CMUQs entire diverse student body, by encouraging them to participate and experience various activities associated with Finance. Also, this association serves as an informative tool for students, since it provides knowledge and essential information for those who are interested in learning about financial markets and finance careers, and it fosters the interest of students’ in various areas of the finance world. Moreover, Carnegie Mellon Finance Association aims to develop and maintain a network of alumni and friends in finance who can share their experiences with students at Carnegie Mellon, giving them further insight about what Finance really is out there. The club currently has sixteen students in it, with Mohammed Al-Hadhrami, a Business Administration junior, being the president of the club, and Professor Mohammed Fuad Farooqi being the advisor. Some of you might wonder: What exactly happens in an event that revolves around a card game? 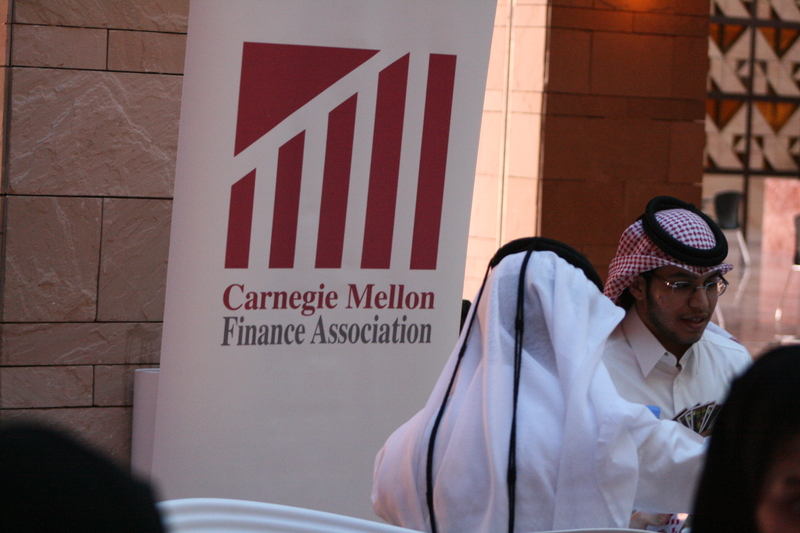 Generously, Carnegie Mellon Finance Association did not only have free food and karak throughout the whole event, but it also gave away eight 50QR Virgin Megastore vouchers for the winning players. Unpredictably, the event was literally packed with groups of students, and as Hasan Salatt, a BA sophomore said, “I didn’t expect this amount of people to be interested in Brazilya! 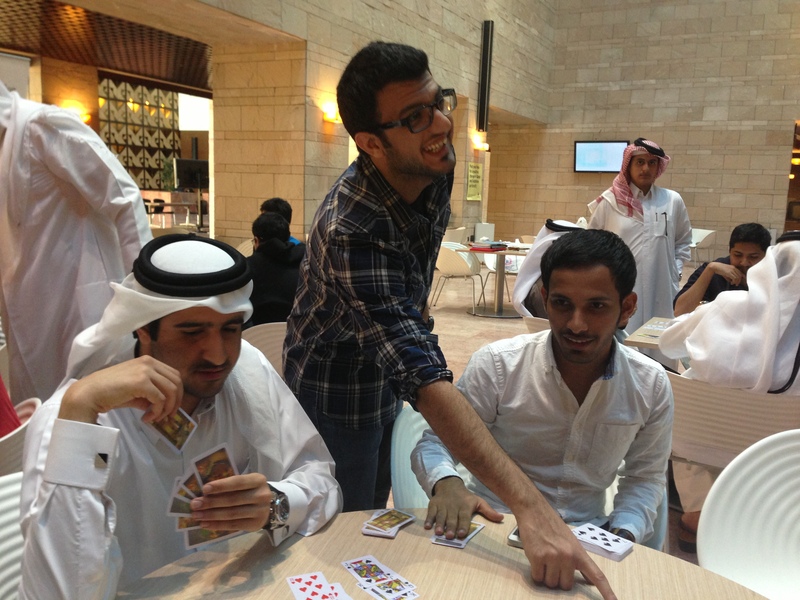 It is surprising how one card game brought in groups of people together.” And it really did! Students were into the game, shifting from one table to another, all determined to win every round of Brazilya. Fortunately, we managed to get some inside information regarding the club as a whole, and regarding the event from the respected president of Carnegie Mellon Finance Association, Mohammed Al-Hadhrami. Where has the finance club been before? Where has it been last year and the years before? And was Brazilya Carnegie Mellon Finance Association’s very first event? But how is a card game even related to finance? Speaking of your future events, what exactly do you have planned? Without any doubts, it was clear that Carnegie Mellon Finance Association put both their time and effort in running this event successfully, and certainly everyone appreciates the sense of enjoyment they added to the beginning of our weekend. On behalf of CMUQs entire student body, we send Carnegie Mellon Finance Association our sincere thanks and appreciation for pulling off such a great event. So Tartans, any clues about what might their next event be? And would you be looking forward to it? The CMU-Q Debating Society has done it again! 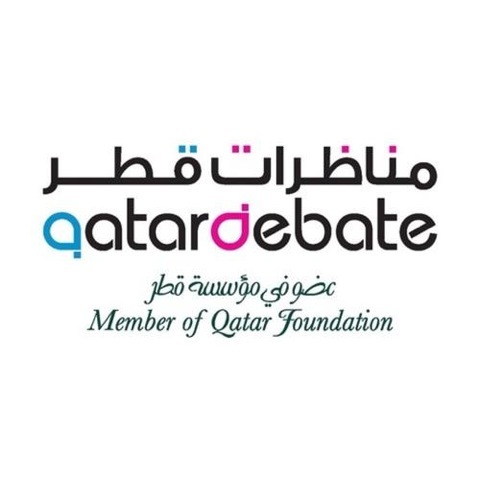 Another success was achieved by the enthusiastic debaters of our campus in pulling off a great performance in the 4th Debating League Tournament (Qatar Universities Debating League), which was organized by QatarDebate. CMU-Q maintained its glorious position of peaking the chart of total acquired debating points for the season, earning 20 points in total, followed by 17 points obtained by Georgetown University in Qatar. Not only that, but our Debating Society have also done a great job in organizing for hosting the event in our campus! Much gratitude go out to the volunteers, the debaters, and the adjudicators who gave up their Saturday to make this event a success. Our deep congratulations go out to our enthusiastic debaters for making CMU-Q takes the lead in debating! Ahmeek: more than just a campaign! Doha community engagement program believed in my creativity and my capability of organizing a campaign that would raise awareness and help my community. Ahmeek came is an unusual campaign that need actors and volunteers from all age groups to do “flash mobs” that illustrate scenes related to car safety and accidents. The idea of such mobs was already there in many countries of the world, but I wanted to see it here in Qatar and CMU. It took me the guts and potential to apply for the idea and getting support from DCEP helped me to start and build a campaign from scratch by myself. I know you have something there in your mind you always wanted to see happen, but you’re not sure how or where it can happen I assure you I was in your shoes, yet, I believed in my idea and it came to live with the support of CMU. Special thanks the student affair, especially Dalia Rehal and all my actors and volunteers “Ahmeek” wasn’t going to come to live without you, Thank you. Tarnival: A Day To Remember! Halfway through the semester, students are started to get exhausted, courses are getting more difficult, deadlines are approaching and midterms are over. It was perfect time to have our yearly Tarnival, to release stress and play games. As we were informed that Tarnival (short for Tartan Carnival) is a tradition inherited from the main campus. Student majlis and 25 clubs participated to organize this unforgettable event. The day was full of fun, water balloon fight, musical chairs, tug of war, wrapped up gifts, video games and many more entertaining activities. Clubs started preparing weeks ahead for this yearly event to share entertaining activities with the rest of the CMU-Q community. 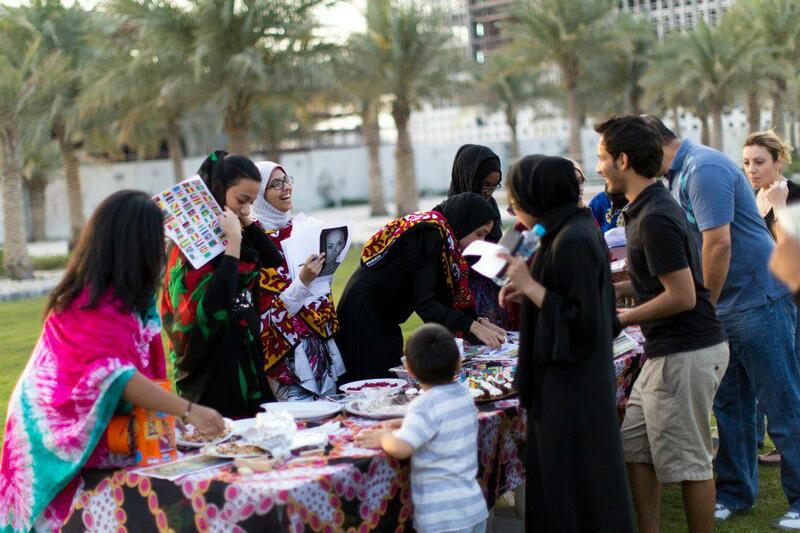 Every year clubs and student majlis come up with interesting, fun and challenging activities. We have seen that clubs were excited and looking forward to showing off with their booths. Every club organized something to merge in with the fun and at the same time standout with different creative ideas. We managed to talk to some of the clubs’ presidents to find more about the preparation and how well tarnival went in their perspective. Miscommunication didn’t only affect QSA club but also the photography club. Wadha Al-Ajmi current president of the photography club had also some troubles with getting the props she requested from student affairs for the event. She needed photography supplies for the tarnival and they were not ready on time. Wadha also mentioned that she knew that the supplies were not ordered only few days before the Tarnival and there was no time to search for props in a very short time. However, few days later student affairs managed to get the photography club the supplies they needed. We also had the chance to interview Marwa Al.Fakhri, president of student majlis to know more about their preparation of this amazing event. 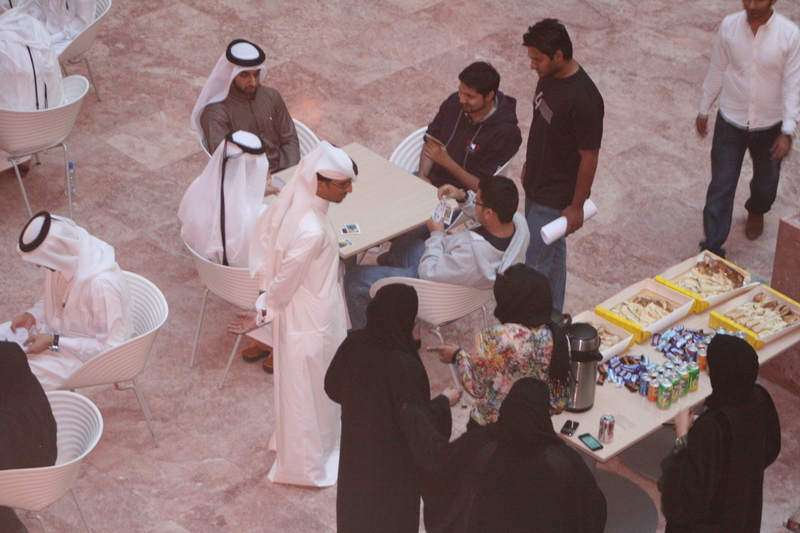 Marwa said that student majlis organized this big event with the participation of clubs. They coordinated with the presidents of the clubs and took care of the all-logistical details and behind the scene processes to put together the event. When we asked Marwa about land distribution and 2×2 booths she said, “Land distribution was exactly same as last year, and the reason why we have a fixed space for all the clubs in Tarnival is to make sure that the Tarnival stays as it is a great traditions for all the Tartans to participate in equally, not one group or club taking over.” Student majlis started planning for this event more than a month ahead, and she also mentioned that trying to fit things together on the green spine takes a lot of arrangement. Marwa was also satisfied with the event and said that it met her expectations. We can see that she appreciated all the hard work saying “THANK YOU ALL VERY MUCH”. Overall after all the preparations, communication and organizing Tarnival took place on the 12th of November and everyone that attended it had fun on that day. Student Majlis was successful in organizing more than 3 rounds of water balloon fights and many different activities. What made it more exciting is that not only students took part in these activities, but also Faculty and staff were there. There were many booths and clubs that participated in different, creative ways. We saw a small mini track for radio controlled cars, video games and some activities that required getting wet. On one side QSA had a big fun booth with many different simple, yet unique games. Some games were old traditional ones while others were worldwide known games. Bringing both together in one area was something that QSA members were able to do. The disconnection between presidents of clubs and student affairs and student majlis caused delays of preparation till the last day before the event which should be avoided in the future to have better events. We can learn from our mistakes, as there is always room for improvement in upcoming events. But at the end, People did enjoy the tarnival, while others regretted not attending it.